Back in 2013 researchers at IBM produced an animation by moving 5,000 atoms. 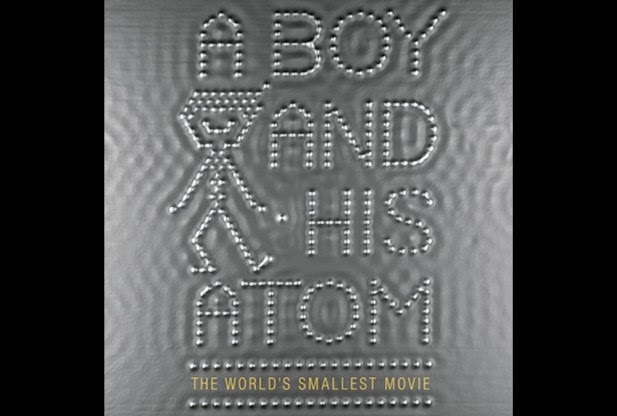 The mini-movie expresses the story of a boy called Atom, who stumbles upon a molecule and starts playing with it. The film had to be enlarged more than 100 million times to be seen. The stop-motion video was prepared by means of two microscopes to change the molecules and place them as necessary. The purpose was not only to produce the world’s tiniest movie, but to analyze the magnetic possessions of atoms on exteriors to get a improved understanding of how these can stock data.